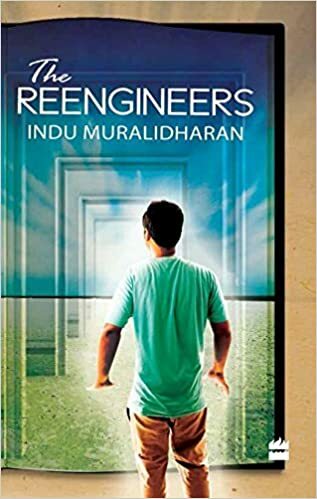 Reviews of early versions of excerpts of The Reengineers which was earlier titled ‘The Author and The Hero’ courtesy Amazon.com and the Amazon Breakthrough Novel Award Contest. I thank everyone who took out the time to read the excerpts and share their thoughts. “For the first few pages of this excerpt, I mistakenly thought that the narrator was a young woman. I was somewhat surprised when it was revealed that he was a fifteen year old boy. I went back and reread the opening sequence, and I realized that the reason I had assumed the narrator was female was not because of any feminine characteristics. Rather, I found myself connecting with the protagonist so much that I began to imagine myself in his place. Since I’m a woman, I imagined the narrator was as well. It is rare for an author to create such a powerful and compelling character that I am able to so easily relate to and identify with him, especially with such a small amount of text. I think both men and women, old and young, will find this character as fascinating and intriguing as I did. “This novel tells the story of an as-yet-unnamed narrator, a fifteen year old boy living with an aunt in Madras, India, while his parents go through a divorce. The narrator is suicidal, but, in an opening prologue, describes the moment when he realized he no longer needed to feel suicidal, that he could experience renewed hope. The piece is beautifully written in a strong, crafted, lyrical style. The story-telling is subtle, balancing vignettes with background information and plot movement. I wanted to read more. The synopsis shows that this book eventually twists into something quite bold and different. I greatly look forward to reading this book in its entirety when it’s published. Absolutely great work. As one can see from the above quote, this is a beautifully written and nostalgic masterpiece. One by one we read descriptions of different characters and their backgrounds, Auntie Kalyani and her devotion to her husband RK (despite other calling him a tyrant), the interesting history and personality of Auntie Kalyani’s maid, and the narrator. This is not a fastpaced or action-packed plot-driven piece of fiction, but peaceful and elegant. I would gladly read the rest of the book! This coming-of-age story of a fifteen-year-old boy, growing up in a middle class neighborhood in India is a true gem. Written in beautiful formal prose, it tells a touching story of three nerdy teenage outcasts who seek refuge from their everyday angst in a library. All of them have troublesome family life, none more than our sympathetic protagonist Chimnay who immerses himself in the stories he finds at the library. The friendship between the three is real and one can’t help but put himself in their shoes. This is a lovely book that has to be read a bit at time to savor the depth of the message being told. Five Stars!